What is Library To You? Library to You is sponsored by the Library Foundation and is committed to ensuring every citizen in St. Charles County is able to enjoy a true library experience, even if they are unable to come to us. 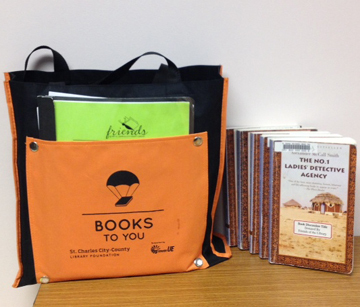 Library to You helps homebound and disabled customers receive the Library materials they want even if they are unable to visit our physical buildings. Through mail and volunteer delivery as well as visits to over 60 senior living facilities throughout the county, we are able to provide these customers with a genuine Library experience in the comfort of their home. There are several seniors and other individuals who are unable to come to the library due to disability, illness, or permanent injury. These patrons often experience a sense of isolation and can feel disengaged from the community. Having someone stop by to visit, talk, listen, and care makes a difference. Through reading and regular interaction with our volunteers we improve their quality of life and promote lifelong learning. How did Library To You get started? The Library to You program sprang to the life in the Deer Run Branch in the 1970s when two librarians saw a need and decided to do something about it. What started as a small homebound delivery service has evolved over the years as the Library District and the Foundation continue to work to meet the ever-evolving needs of our homebound patrons. See a need, fill a need – that’s what we strive for every day. What does Library To You provide? The Foundation currently delivers around 30,000 items, mainly large print books, to over 60 community residential facilities per year through our rotating delivery service. This service keeps new titles in the hands of our patrons and allows them to select a book of high-interest in the comfort of their home. 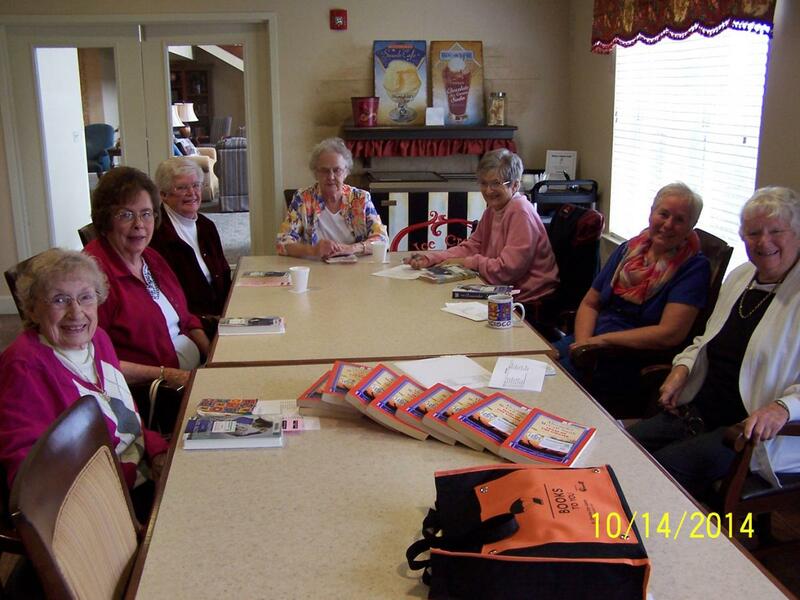 The Library Foundation also has volunteers in sites around St. Charles County leading monthly book discussions. These discussions are great fun for the residents and the leaders, encouraging literacy, discourse, and engagement. Most significantly, we focus our efforts to reach homebound individuals by matching them with a one-on-one volunteer to receive personal delivery service of library materials. We currently have close to 70 patrons receiving this unique outreach service. How do you apply for Library To You services? 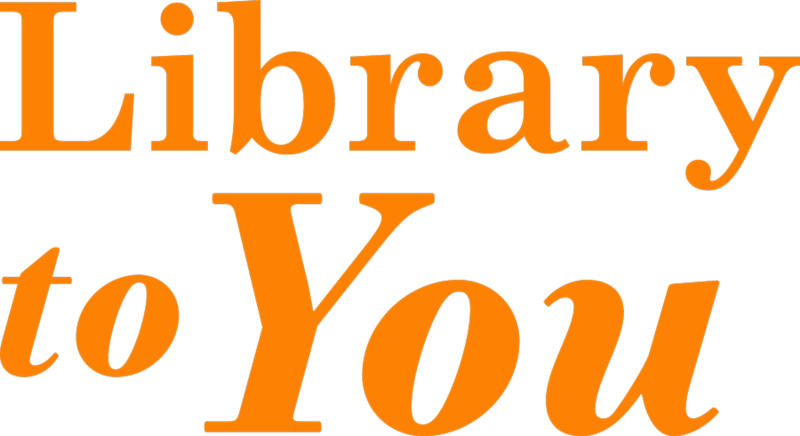 The Library to You library outreach service is available for individuals who have a valid resident card, are homebound and cannot travel to a library branch to enjoy library resources. If you have a permanent or temporary disability, illness, or injury that prevents you from visiting one of our library branches, you may request assistance through Library to You. Download the Library to You application and submit to the Foundation for review. Want to support Library To You? There are several ways to support and serve Library to You. Volunteering with the Library to You program allows you to see your gift in action right here in the community. 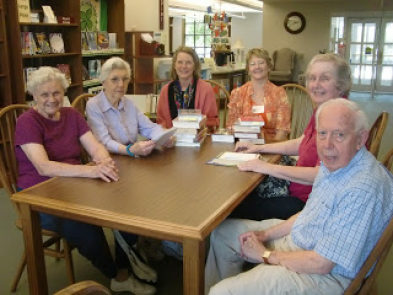 The Library to You program depends on volunteers committed to our senior community. Your support makes this program a success. If you are interested in learning more about Library to You, please contact Kristen Sherry at 636.441.2300 x 1643 or ksherry@stchlibrary.org. Library to You can deliver books, including large print items, DVDs, CDs and other library materials so you can still enjoy your library even if you are unable to get there yourself. Books discussion sets are a great addition to the Library to You program. 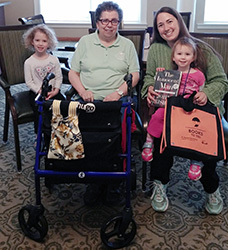 Support for the Library to You program allows us to deliver a rotating library collection to senior residential communities and offer book discussion groups at select sites.